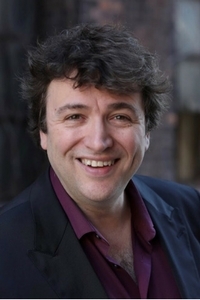 A new era begins as Alain Trudel launches his first season as Music Director of the Toledo Symphony! Dancers from Toledo Ballet join us for great moments from Tchaikovsky's unforgettable Swan Lake. Beethoven's dramatic Fifth Symphony tops off the evening with one of the most famous themes in all music. Listen to the full playlist on Spotify! Christopher Dietz composes music inspired by a wide variety of sources, both real and conceptual. Poetry, sound as sculpture and color, how toddlers play, deep time and the cosmos, rhythm as geometry, religion and politics, animal behavior, and the music of others are a few of the subjects that have informed his musical imagination. A similarly diverse approach to the creation of each new piece has resulted in a collection of works distinct in their surface features yet bound together by a common vitality, nuanced palette, and a commitment to engaging with others. In recent years, Christopher’s works have been premiered in London, Auvillar (France), Montreal, Ottawa, New York, Los Angeles, Washington, Houston, Phoenix and Ann Arbor, among others. His music has been performed by numerous contemporary ensembles including Alarm Will Sound, Decoda, Ensemble Échappé, NODUS, The Orchestra of the League of Composers, Ogni Suono, Duo Scorpio, The McCormick Percussion Group, The Oberlin Contemporary Music Ensemble, The East Coast Contemporary Ensemble, The Chicago Ensemble, Trio Kavak, Palomar, TACTUS Ensemble, Dark in the Song, The Color Field Ensemble, as well as traditional ensembles such as L’Orchestre de la Francophonie, The San Jose Chamber Orchestra, The Beau Soir Trio, The Orange County Symphony, The Toledo Symphony, the University of Michigan Symphonic Band and additional university ensembles across the United States. His work has been featured at new music festivals such as NUNC!, soundSCAPE (Italy), The Etchings Festival of Contemporary Music (France), The Queens New Music Festival, New Music on the Point, Florida State's Biennial Festival, Mizzou New Music Summer Festival, Tutti Festival of New Music and the MusicX Festival, among others. Residencies at Copland House, Canada’s Banff Centre and The Camargo Foundation (Cassis, France) have been important milestones in the development of Christopher's compositional voice. Recognition of his work has come from honors and awards including ASCAP’s Morton Gould Young Composer Awards, The Minnesota Orchestra Reading Sessions and Composer Institute, The Riverside Symphony Composer Reading Project (NYC), The Yvar Mikhashoff Trust for New Music, Random Access Music, The Utah Arts Festival’s Orchestral Commission Prize as well as several academic awards, grants and scholarships. Christopher's music has been released on New Focus, AMP, Navona and Cambria Records.